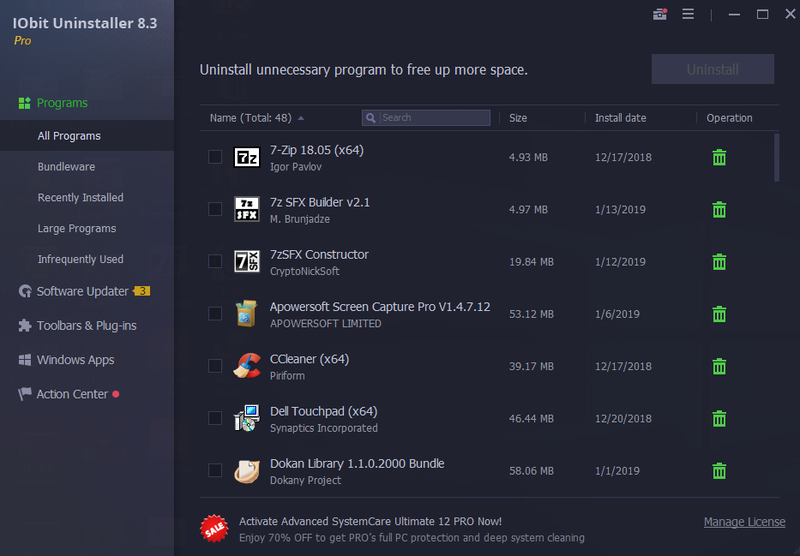 IObit Uninstaller is a tool that helps you to remove unwanted programs and folders from your computer fast and easily. It removes applications from your computer, along with their leftovers. 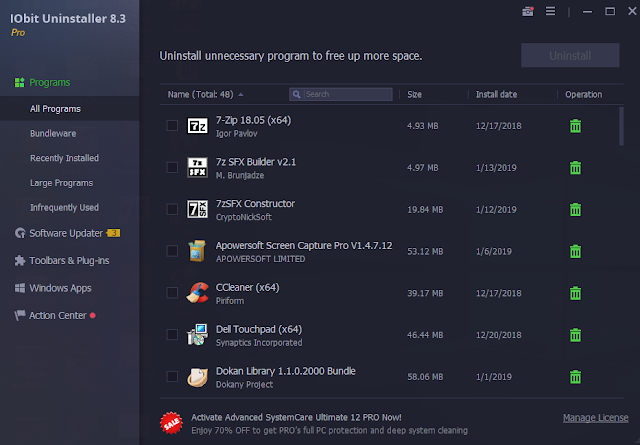 IObit Uninstaller 8 can detect and categorize all of the installed programs, and allows bulk uninstallation with just ONE click! With “Powerful Scan” and “Forced Uninstall” features, you’ll never be bothered by leftovers or stubborn toolbars anymore. 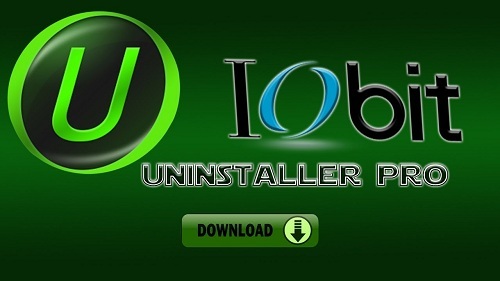 IObit Uninstaller is portable, so you don’t have to install it. You can place this program on a removable drive and directly run its executable file on any computer. A list of installed programs is automatically displayed upon initialization, in which you can view the name, size and install date of each software.